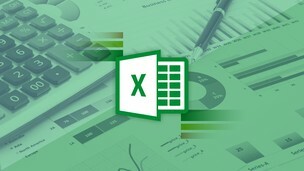 Advanced Microsoft Excel is much more than a quick way to add up numbers. In this course, you will learn advanced features such as nesting IF statements, how to calculate the Mean of a group of numbers using AVERAGEIF, SUMIF and more. You will learn about performing lookups with HLOOKUP and VLOOKUP. This course also covers Sparklines, and goes in-depth with Pivot Tables and Charts. Finally, you will learn how to create and record your own Macros.